This mega bundle contains professional, photorealistic and high quality five flyer/poster mockups. 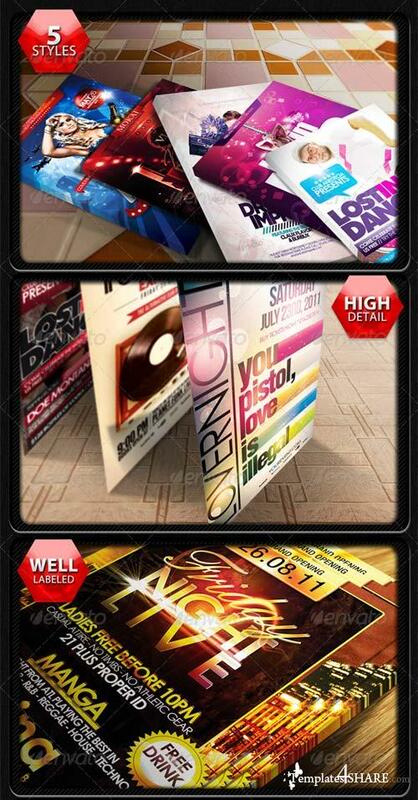 This is totally different from any other flyer/poster mockup you may have used. The final result stands outstanding. 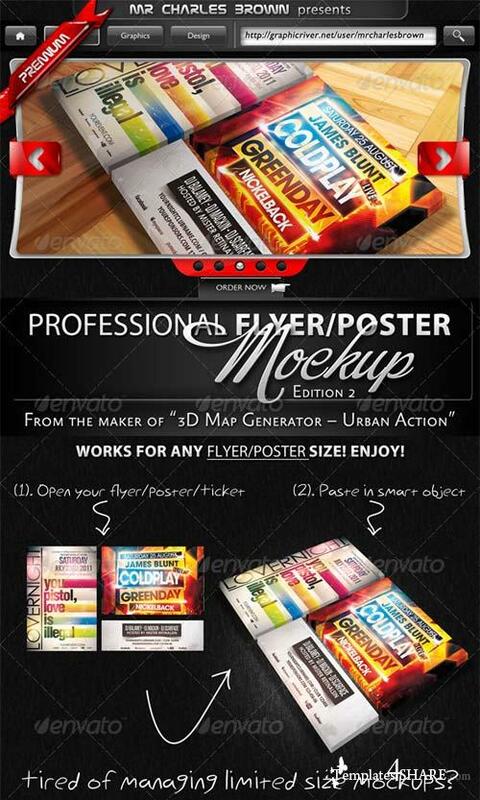 Just place your flyer/poster design inside the smart object and see the realistic result. Impress your clients with these awesome mockups.